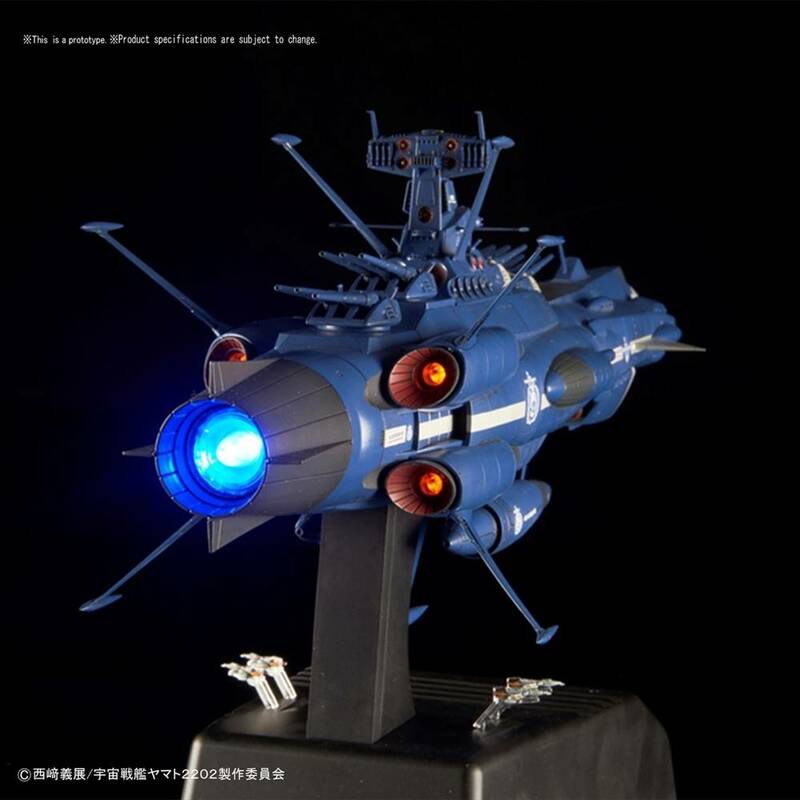 Star Blazers 2202 1/1000 plastic model kit by Bandai Hobby. 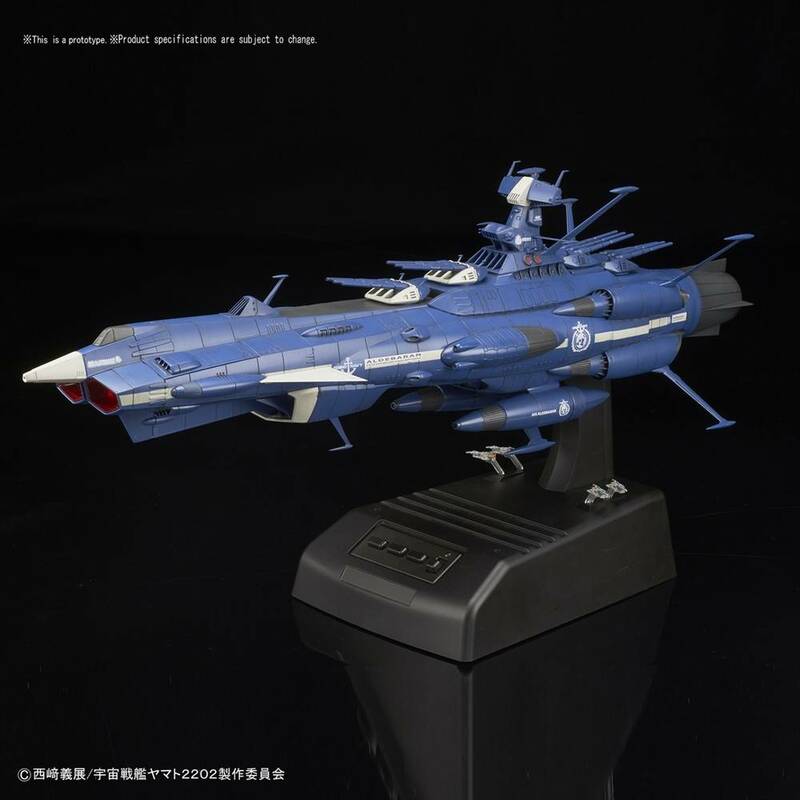 - Space Battleship Yamato 2202 Earth Federation Andromeda Class Second Ship Aldebaran Movie Effect Ver. - With the LED & SE unit, the wave engine directs the atmosphere in the play with sound with light and dark and fluctuating flashing. 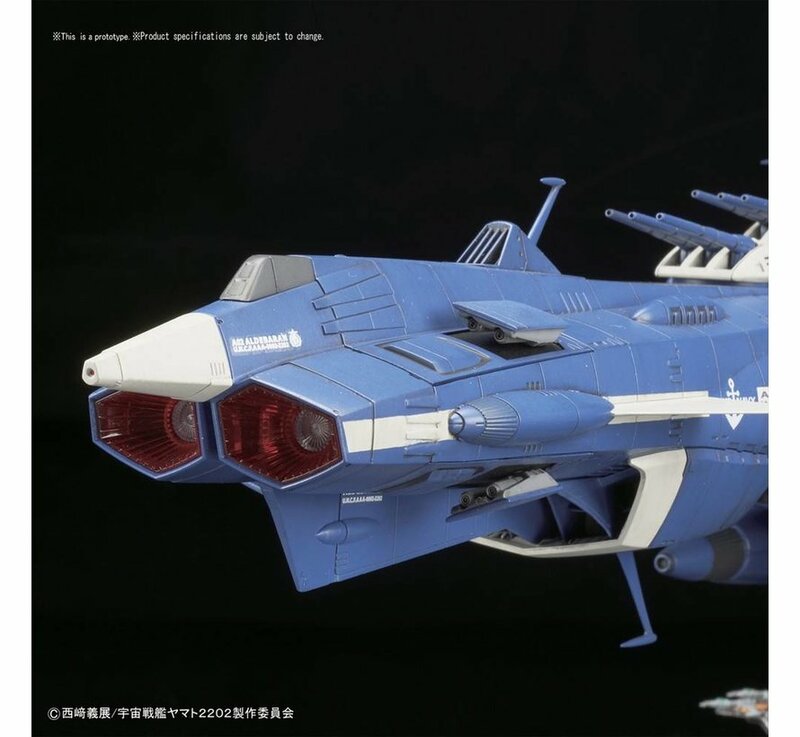 - Wave cannon part is reproduced with clear parts. - Using the LED, it changes to [red → blue → white] and reproduces with real flicker and sound. 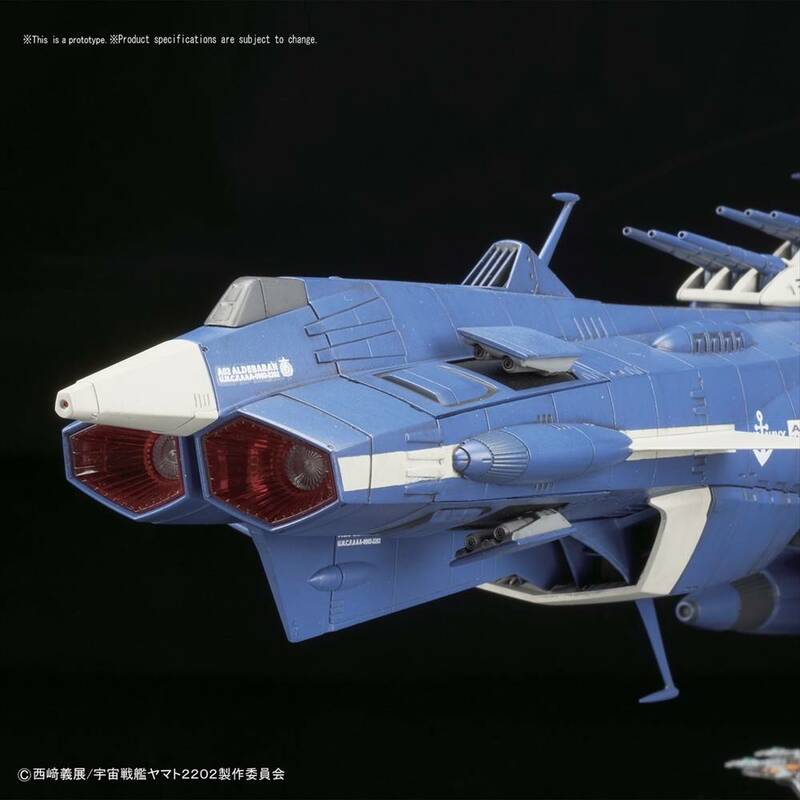 - Retractable weapons of the new setting are reproduced by opening and closing selection formula. - Cosmo Tiger II onboard can be displayed on display base.